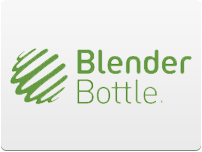 Excellent quality combines with excellent design to make the BlenderBottle® a modern marvel. No matter which size you choose, you'll enjoy cordless, battery-free easy mixing due to the power of the patented whisk ball. The BlenderBottle® is an ideal tool for mixing protein shakes, iced drinks and even helps create fluffy scrambled eggs and omelets. You'll be amazed at all the uses you'll find for these versatile bottles.